Dated from 1917 to the present, Taylor County public birth, death, and marriage records are available from the West Virginia Vital Registration Office for $12 (in most cases). Public records ordinarily include birth records older than 100 years and records older than 50 years for death and marriage. The Taylor County Clerk maintains records dated before 1917 as well as all county divorce records. Taylor County was created in 1844 from Barbour, Harrison, and Marion Counties. It was probably named for Virginia Senator John Taylor (1750-1824), Revolutionary War veteran. 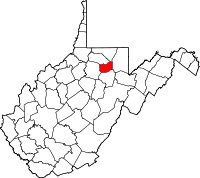 The county seat is Grafton, home of West Virginia's only national cemetery.